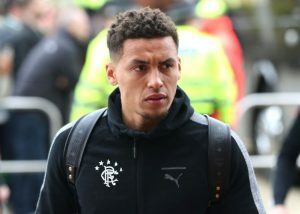 A few days earlier it was reported that Brighton and Hove Albion were interested in making a move for Rangers captain James Tavernier. 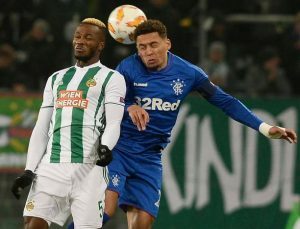 Brighton scouts were present in attendance to watch him play against Rapid Wien, and Tavernier put in a fantastic display on the night where the Gers ran out 3-1 winners. The interest seems to be very real, and not just rumours as club manager Steven Gerrard has come out and spoken about Tavernier’s situation. “That goes for any CEO, any owner, any club that wants my captain. They best go to the bank and get an awful lot of money out – or he’s not going. I would be surprised if teams don’t come (for Tavernier) because he’s been absolutely fabulous for me. Every player has their price but if the price is not right then he does not go anywhere. He stays as my captain.”- he added further. Gerrard is right in saying that every payer has a price in today’s day and age but he also made it clear that they are not going to let Tavernier go for cheap in the future. The captain signed a new four-year deal in September but even then the Seagulls look undeterred and are looking to approach the right-back in January. Some reports in the summer suggested that the club was demanding £7m for Tavernier when West Bromwich Albion were reportedly interested in him. Maybe after a good run of performance and especially if Brighton wants him in January, Gerrard might push up the asking price further, maybe close to £10m. It would be interesting to see then Brighton’s response. However, one shouldn’t count out Brighton’s financial muscle as they spent as much as £65m in the summer to acquire ten players. It’s clear that the owners want to make the club a steady Premier League outfit for years to come. The investment and the excellent work which Chris Hughton is doing at the club can achieve that goal. Losing Tavernier would be a big blow for the Gers especially mid-season as the league table is getting interesting with every passing week. Rangers are still in with a decent outside chance for the title and are doing well in Europe as of now. January could be a tricky period for the Glaswegian giants but if the 26-year-old fullback is sold then one thing for sure would be that the Gers are going to make a huge profit on him as he was reportedly signed for just £200,000 in 2015. Tottenham Hotspur Set To Lose This Midfield Maestro: Can Pochettino Cope Without Him? 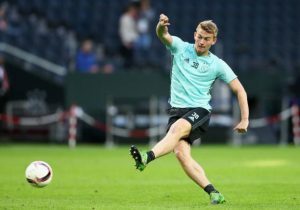 Burnley Join The Race To Land 26 Y/O Rangers Defensive Ace: Should Dyche Go All In? 26 Y/O Rangers Defensive Red Hot On Everton Radar: Should The Gers Let Him Leave? 26 Y/O Rangers Ace Wants To Pen A New Deal: Should The Gers Sign Him Up?